Please do join us again this weekend. Enjoy your Hogmanay and have a Happy New Year. There will be more reaction to today's Scottish Premiership games on the BBC Sport website later and highlights of the matches will be available there tomorrow. Scottish football begins 2016 with a busy day of fixtures on Saturday. Dundee host Dundee United in their second city derby of the season before four more Premiership games and a few more top-flight derbies later in the day. There's also a full card of fixtures in the Championship, League One and League Two. And, on Sunday, St Johnstone host Aberdeen in the weekend's final Scottish fixture. Celtic remain top of the league, despite their game against Dundee being called off due to a waterlogged pitch. However, Aberdeen are now level on points with Celtic, albeit having played two games more, and are behind on goal difference. Hearts are now seven points behind the Dons and five ahead of St Johnstone. Inverness finish 2015 just inside the Scottish Premiership's top six following their 4-3 win at Hamilton this afternoon. 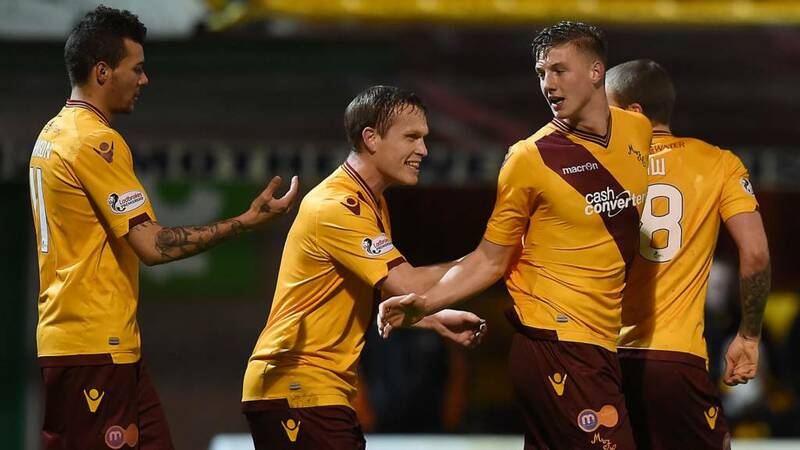 A point behind the Highlanders are Partick Thistle and Motherwell, who will be pleased with their evening's work. So, no second-half goals to speak of this evening. After five between Ross County and Kilmarnock last night, seven at New Douglas Park this afternoon, five in the first half at Tynecastle and a couple at Fir Park, I guess they had to dry up eventually. Aberdeen remain second in the Scottish Premiership and miss the chance to finish 2015 top of the league. Decent point for Thistle, who extend their unbeaten run to six. Third-place Hearts move five points clear of St Johnstone with victory over Dundee United, who remain 10 points adrift at the bottom of the Premiership table. Five minutes of stoppage time being played at Pittodrie. Will there be a winner?